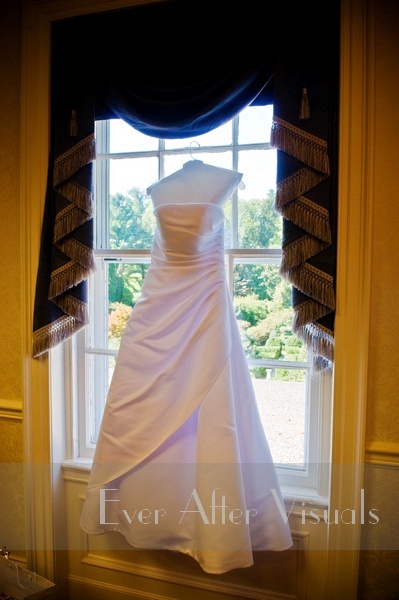 Ceremony and Reception Venue: Airlie Center, Warrenton, Virginia — Beautiful, beautiful location! 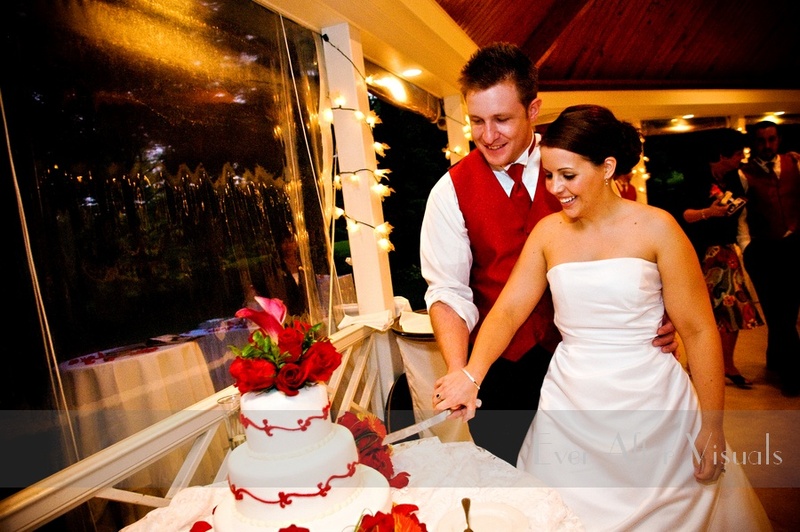 Floral Design: Heaven On Earth Wedding FlowersLinda always does a great job — one of the best we’ve had the pleasure of working with! 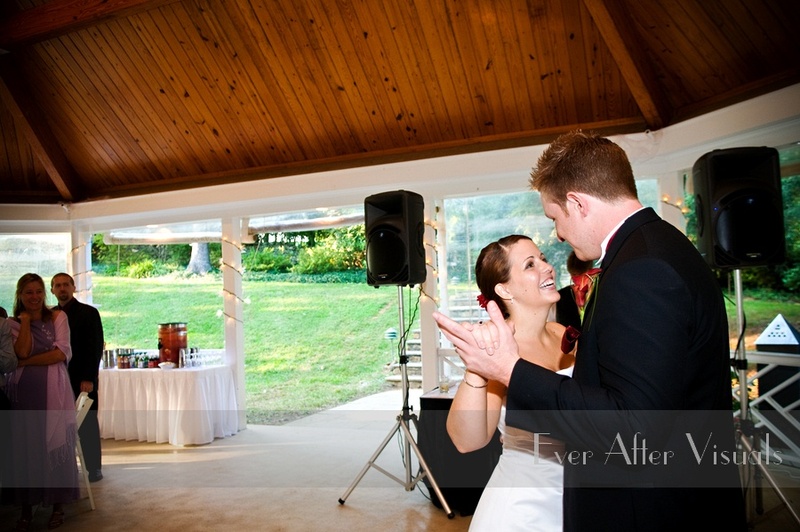 Ceremony Music: Finest Sounds EntertainmentAwesome tunes kept everyone dancing! 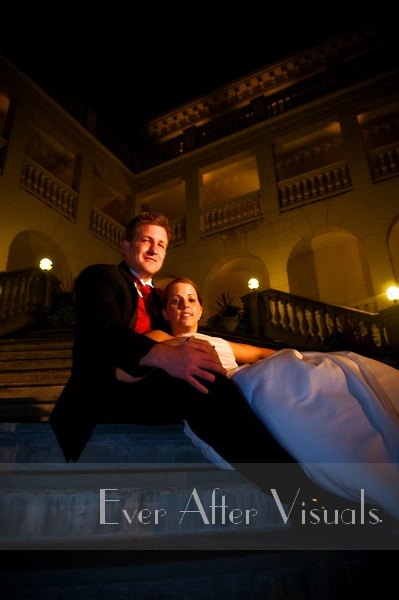 Catering: Airlie Center – The food was extremely delicious — my favorite was the different types of pasta! Hairstylist: Heather at Jazz It Up! Maria and Marcus tied the knot Saturday in a lovely ceremony at Airlie Center, one of our very favorite places to document a wedding. With her beautiful big brown eyes and petiteness, Maria looked like a Barbie doll! (Her shoes were a size 5 1/2!) 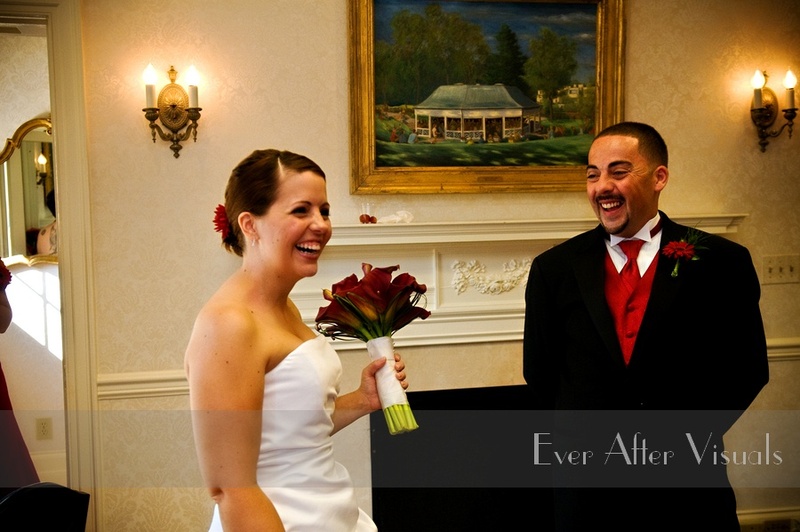 Maria’s quiet nature contrasted with Marcus’ when we met with him and his groomsmen. He was cracking jokes left and right and really kept us in stitches! We can’t believe Marcus is so shy around the camera — as he said he HATES having his picture made! He can’t see what we see since we thought he was uber photogenic! And best of all, we love that he told us right before we left that he would recommend us to all his friends! We loved this wedding — sharing this beautiful day with Maria and Marcus, their family and friends was really special to us. Some of Maria’s family came all the way from England. Both Maureen and Donna, the mothers of the bride and groom were so sweet, and such a pleasure to photograph as there was lots of love in the room. We felt a little of the bittersweetness in the air, too, as all held the memory close of Maria’s father, who passed away in July. 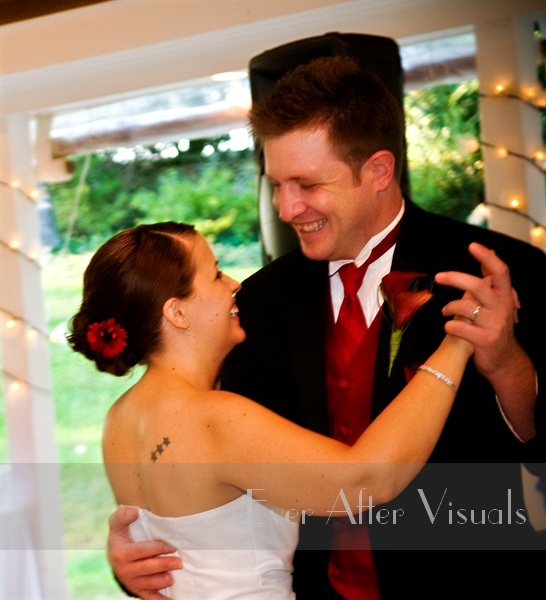 Much as we try, we can’t help but feel the same emotions as our clients — we got that old familiar lump in the throat when Maria asked for a photograph of her father’s wings that her mom had pinned to her crinoline. And when Maria’s brother told her that he wanted to tell her what Dad would have said, well, it was a bittersweet moment for sure, but one we feel privileged to share. Most of all, we felt that these two gentle souls will live, love and laugh together for many years to come! 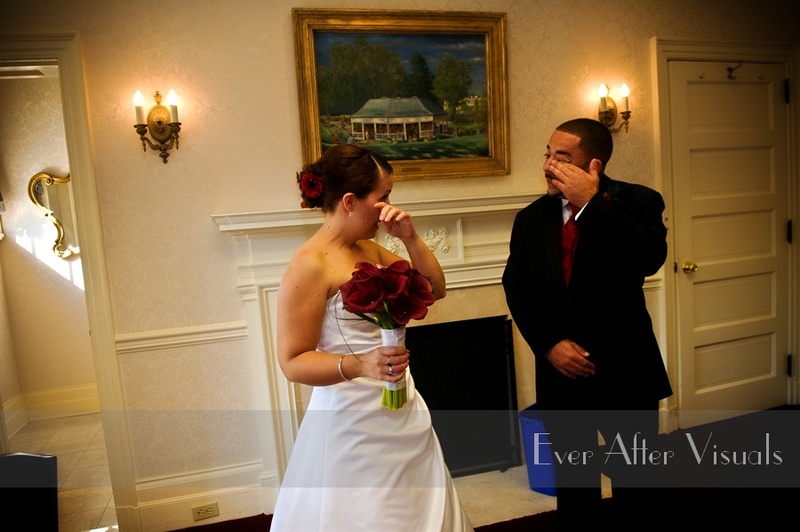 Thank you for choosing us to share your most special day. 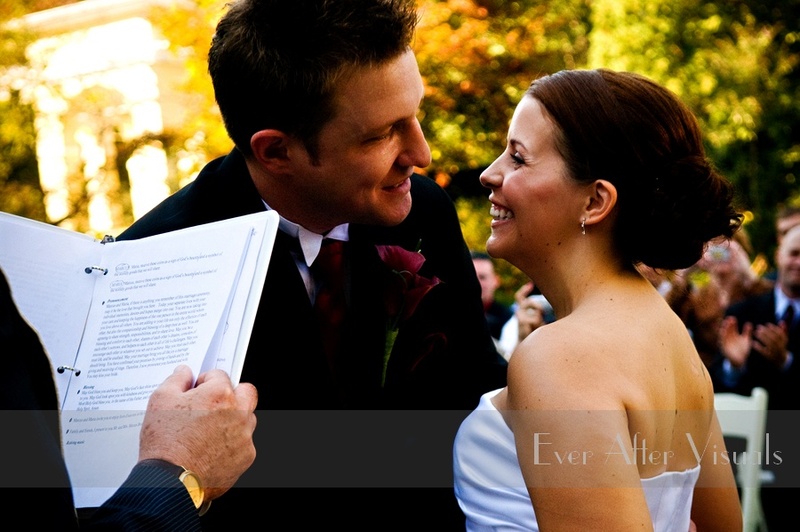 Check out Marcus and Maria’s Wedding Album designed by Ever After Visuals! 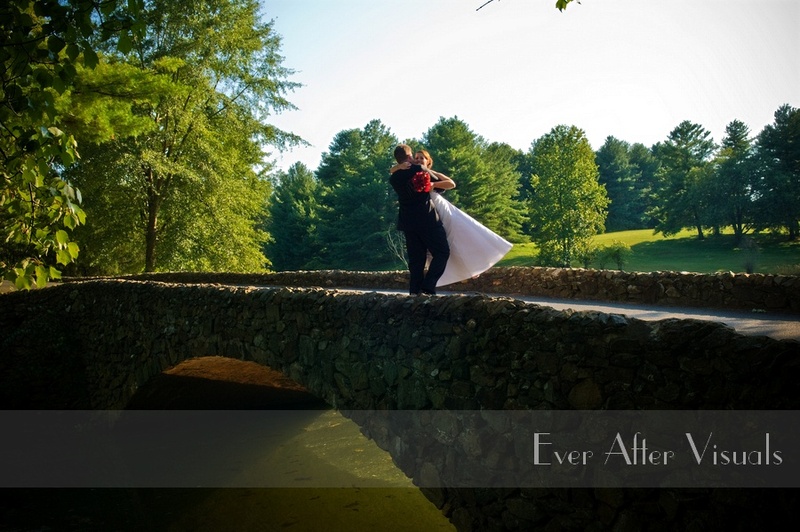 You can also see Marcus and Maria’s Engagement Photography shot at Meadowlark Botanical Gardens! 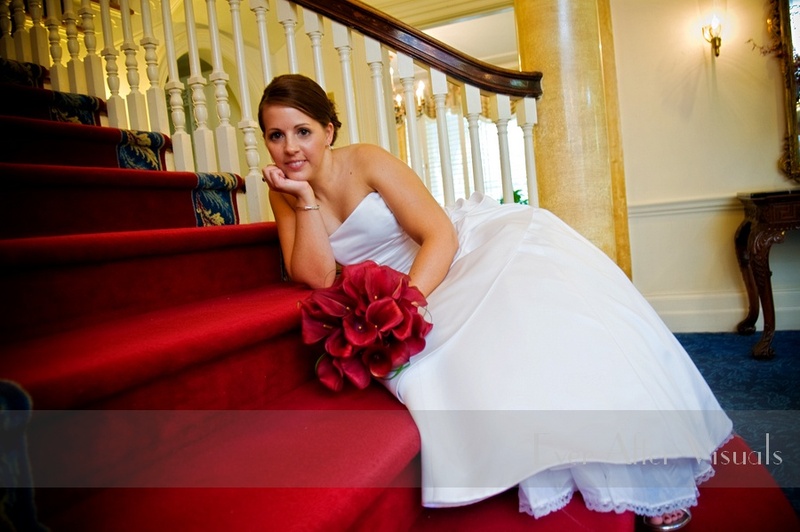 Click here to check out Marcus and Maria’s SNEAK PEAK slideshow!